Girona has accepted a LaLiga proposal to face Barcelona in the United States, adamant it represents a “great possibility of and expansion” for the club and city. LaLiga announced in mid-August it had struck a groundbreaking deal with multinational media, sports and entertainment company Relevent that will boost the competition in North America and see a Spanish top-flight match played in the United States for the first time. 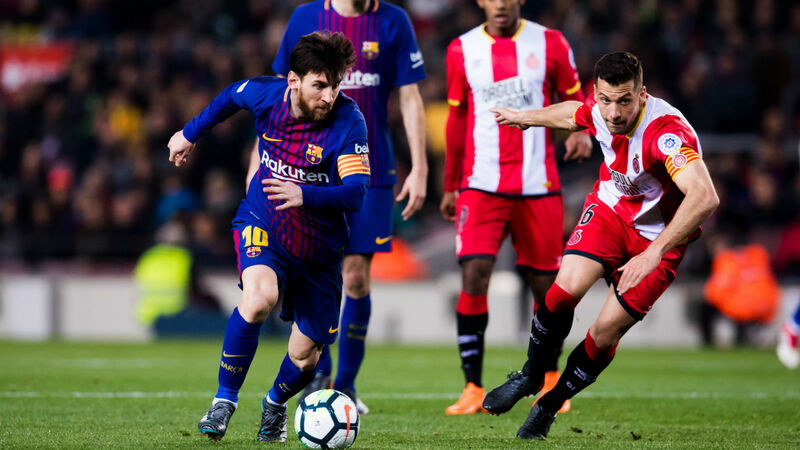 Despite a threat of players taking strike action if a U.S.-based match was confirmed, reports began circulating on Wednesday that the game in question was to be Girona against Barcelona. Girona confirmed Thursday that it has accepted the proposal to host Barca away from its own stadium. A statement on the club’s website read: “The club confirms that it has received this proposal from LaLiga and is working in this line together with LaLiga and Barca, although there is no official confirmation that the game is will be played in Miami. “The club has accepted the proposal understanding that it is a great possibility of expansion and growth, not only for Girona, but also for our city and our territory. “A little over three years ago, the club fought against disappearing entirely and now our goal is to consolidate ourselves in LaLiga. Girona’s home match with Barca has initially been scheduled for Jan. 26, but that could change should the game be relocated.